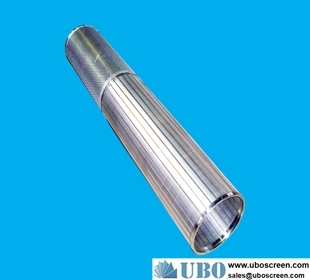 Filter tube, also known as "filter", "screen". The most famous is "Johnson." However, there are different filter tubes. From the material plastic-coated, stainless steel, mild steel zinc, plated with other metals and so on. From the production process has punching, laser holes, wire, and so on. 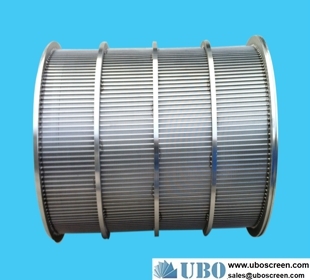 Filter often regarded as the heart of the well pipe, water supply industry in China is usually by wrapping perforated iron pipes or steel pipes, vulnerability of this type of filter in the groundwater chemistry, electrochemistry and corrosion and bacteria was blocked, reducing the efficiency and reduce the water wells life. Especially when groundwater when corrosive, severe damage can make a lot of sand into the hole, causing siltation and burned-out water pumps, Wells useless. 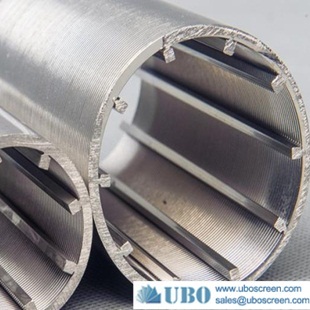 To resolve this issue, both at home and abroad to develop stainless steel filters, glass filters, asbestos cement pipe wrapping or filter, put Li filters, and so on, but because of high raw materials costs, processing complex, low water capacity, as well as heavy of body structure and other factors limit the scope of its application, but are not widespread.